In an era of tell-all books and reality TV, it’s still unnerving for the average person to reveal too much about themselves, their dreams and dramas. The translucent nature of living in a world that thinks it knows you simply because it has a few data points results in an exhausting and inauthentic existence. While revealing your deepest secrets along with the attendant emotions you’ve been harboring for the better part of forever is a rough and rickety bridge to cross. Once you do, the secrets come pouring out like fine Irish Whiskey, purging the pain that held the memory to you and bringing an opportunity to shift nothing less than your entire consciousness. 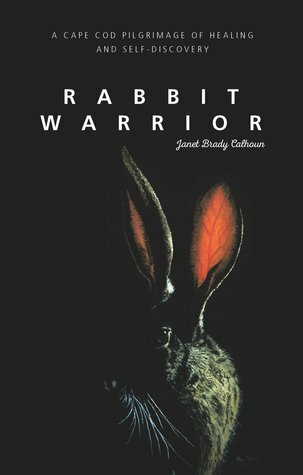 That’s just what Janet Brady Calhoun did and later described in her memoir, Rabbit Warrior: A Cape Cod Pilgrimage of Healing and Self-Discovery, a book dedicated to the Self: self-healing, self-actualizing, and self-discovery.